If you have reached the maximum number of users for your CRM licence you will need to increase your User Licence before you can add more users. To do this, go to Settings then Manage Subscription. 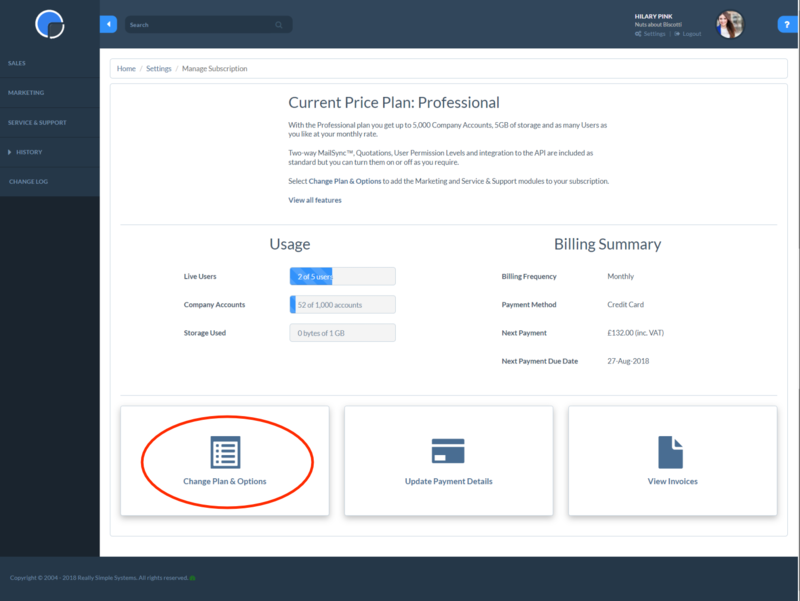 At the bottom of the page click on ‘Change Plan & Options’. On the next page scroll down to ‘User Licences’ and use the + and – signs to increase or decrease the number of users you need, then click Save Changes to Plan. The increase in cost will be shown in the Plan Breakdown. If you are using the Free CRM you will need to Upgrade to the Starter Plan to add a third User. To decrease your user licence, you’ll first need to reduce your number of “Live” users. In Settings, go to User Settings / User Management and open the user record you no longer need by clicking on the name. In the record set the “Live” field to “No” using the toggle switch, and save. 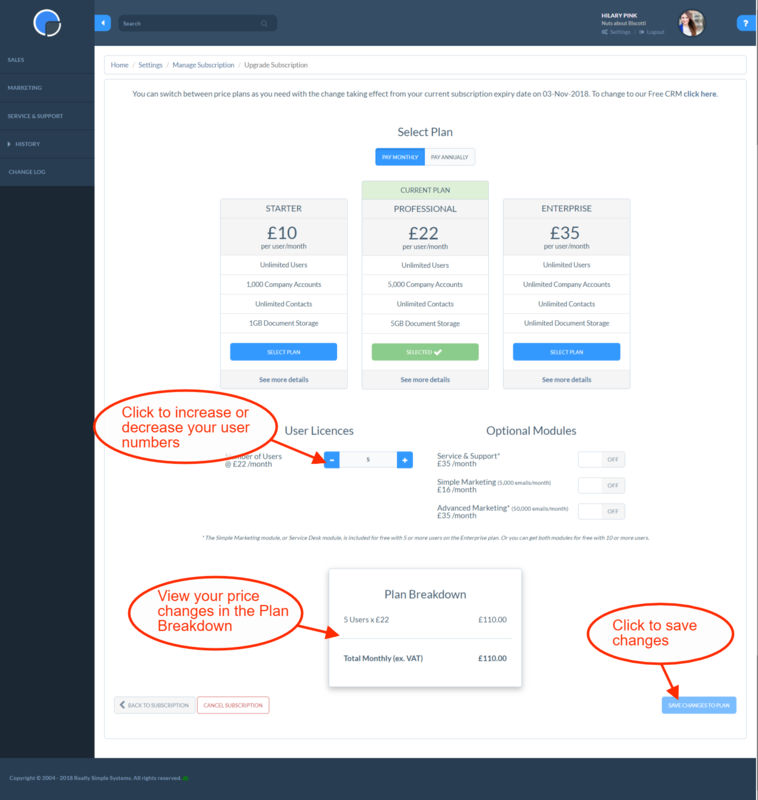 Then in Settings / Manage Subscription, at the bottom of the page, click on ‘Change Plan & Options’. On the next page scroll down to ‘User Licences’ and use the + and – signs to increase or decrease the number of users you need, then click Save Changes to Plan. Please note, it is not possible to delete a user for data audit purposes. However, you can re-assign accounts to another user by contacting the Customer Support team. To create a New User, on the Settings tab go to User Settings / User Management. This will display a list of all your current Users. Click on the User Name to view or edit their details. If the User is Live the checkbox in the Live field will be ticked. Click the blue “+ Add” button to create a new User.